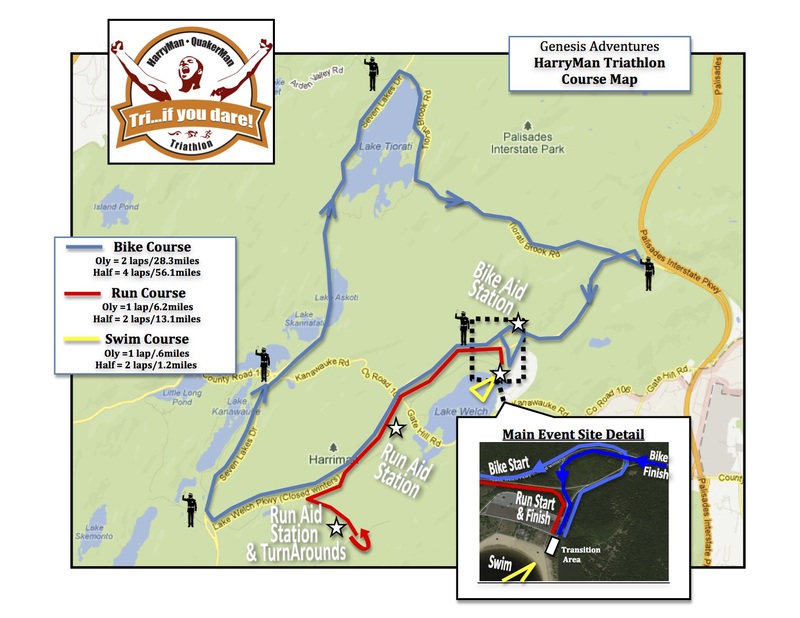 Join us on Saturday, May 18th, 2019 at New York's Harriman State Park for the FIFTEENTH annual HarryMan Triathlon. Lake Welch serves as the backdrop for this early season race. Only 30 miles from New York City, Harriman State Park's scenic beauty and hilly terrain will make you feel like you're in the Adirondacks. We will host both the Half and Olympic races on the same day. This race is limited to a combined field of 500. You can pick up your race packet at the event site on race day (Saturday) morning starting at 7:00am AM for either event. There is no Pre-packet pickup.